One of the joys of starting this blog is how I sometimes just bump into the hidden past of St. Louis. These days, when I bike to work, drive around, or explore new parts of the city, I’m always on the lookout for something new. This city is filled with history. As a result, I have started filling up notebooks and blog drafts with ideas and topics that I plan to investigate at a later date. Recently, I found records of a St. Louis structure that I had never heard of before. I was clicking through some St. Louis websites looking for ideas, and I stumbled upon a webpage filled with a fascinating collection of old photographs. The collection contains about 100 photographs taken by a man named J.R. Eike between the years 1914 and 1917. They come from a collection of glass plate negatives recently rescued from the trash heap by a St. Louisan named Thomas Kempland. Knowing he had quite a find on his hands, Mr. Kempland took the time to digitally scan the plates and post the images on the Internet for others to enjoy. Even better, I was able to track Mr. Kempland down and get his permission to use them for this post. The images in this post are copyrighted and are not public domain. I am grateful to Mr. Kempland for allowing me to share them on this blog. The photographs provide a fantastic look at St. Louis nearly 100 years ago. Included are images of Forest Park, random street scenes, parades, and various church groups. 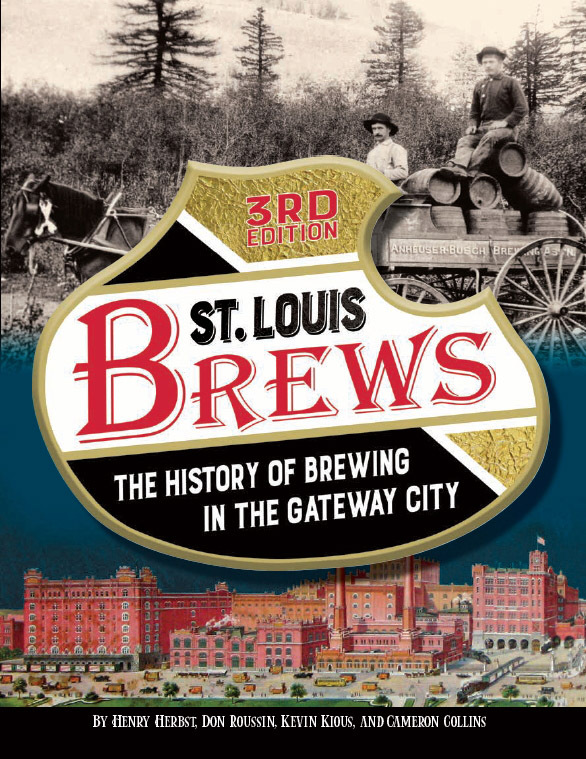 It also contains noteworthy images such as the aftermath of a tornado, construction of an Anheuser-Busch Brewery, and the opening of Bevo Mill. Back in his day, Mr. Eike was obviously a prolific photographer. The images that really drew my attention were a series of photographs of men posing on old-time motorcycles. As I looked them over, I also noticed the peculiar track they were posed on. One particular photograph, taken on September 6, 1914, shows the track from above. The word “Motordrome” is written across the image. I had never heard of a “motordrome” before, but the steep banking curve in the photograph looked completely insane. People raced motorcycles on tracks like this? And one existed in St. Louis? I had to find out more about this structure. After a bit of research, I was able to find more information about motordromes. It turns out they were arena-like structures built for a popular sport during the the 1910’s and 1920’s called “Board Track Racing”. Board track racing evolved from the European velodrome, on which bicycles would race on circular or oval tracks with banked curves. Eventually, unique structures for motorcycle racing were built with higher banks that enabled faster speeds. They were made entirely of wood, which made them cheap to construct. Even the track surface was made of 2×4 wooden planks, hence the name “board track racing”. In time, the wooden structures came to be known as “motordromes”. And St. Louis had one of the most remarkable motordromes of them all. It was located in Priester’s Park, an amusement resort that was located at the intersection of Grand and Meramec in south city. Priester’s Park is also noteworthy in that it was the first park in St. Louis to host hot air balloon racing competitions. That tradition continues to this day in St. Louis, notably with the Forest Park balloon races that are held each year. In this early plat drawing, the St. Louis Motordrome can be seen as a circular 1/4 mile track. It was twenty-four feet high and could hold fifty thousand spectators. Today, no trace of Priester’s Park or the St. Louis Motordrome remains. Over the years, several houses and businesses have been built on the triangle-shaped corner of Grand and Meramec. The image below looks toward the general area where the motordrome once stood. The first motordrome in the United States was built in 1909 in Los Angeles. The banking curve of that track had an angle of about twenty degrees. As the sport grew in popularity, tracks started being designed with steeper banks in order to increase speeds and give racers an easier time handling a motorcycle. The person (or should I say “maniac”) who designed the St. Louis track gave it a banked curve with a whopping sixty-two degree angle. It was the steepest motordrome banking curve in the world. On such an angle, racers could “ride the boards” at speeds over one-hundred miles an hour. To make it even more interesting, the motorcycles didn’t have a suspension, clutch, throttle, or brakes. It was simply full-go. To slow down or stop, racers had two choices: 1. Use a kill switch to stop the engine and coast, or 2. Crash. It was an extremely dangerous sport for competitors and spectators. Faster speeds brought higher casualties. Deadly crashes became common since racers wore minimal safety equipment. Even if a crash was avoided, racers had to worry about being impaled by splinters or hitting loose nails. Fans watched board track racing from above and looked down on the action. If a rider lost control, it usually resulted in a motorcycle and rider flying off the track and into the crowd. Unfortunately, St. Louis was not immune to such tragedy. Here are two clippings from St. Louis newspapers at the time depicting horrible crashes. The most notable board track racing tragedy occurred in Atlantic City, New Jersey, in 1912. Eddie Hasha, dubbed the “Texas Tornado”, was racing at about ninety-two miles an hour when he lost control of his machine. As a result, he rode directly into the upper rail surrounding the track. His machine struck a post, throwing Hasha into the grandstands and killing him instantly. At least five spectators were also killed, most being teenagers who had leaned their heads over the rail to watch the crash. While Hasha flew out of the track, his motorcycle kept going. It dropped back down onto the racing surface and collided with another racer. That racer was knocked unconscious and died four hours later in a hospital. Several people suffered broken bones and wounds from the panic of the crowd as it attempted to get out of the way. It was such a tragic event that it made the front page of the New York Times. Many point to that crash as the beginning of the end of board track racing in the United States. The shorter 1/4 and 1/2-mile circular tracks (such as the one in St. Louis), were quickly nicknamed “murderdromes” by the media. Soon after, the national organization that oversaw motorcycle racing banned tracks shorter than one mile. Another reason board track racing fell out of favor was the high cost of maintenance. Since motordromes were made of wood, the tracks needed constant upkeep. Adequate weather proofing was not available at the time, so continuously putting in new wooden tracks became expensive. By the early 1930’s, board track racing in the United States all but disappeared. Although board track racing is no longer a competitive sport in the United States, it still maintains a fanbase in Europe, particuarly Germany. Finding a drink for this post was a piece of cake. On the opposite corner of what was once Priester’s Park now sits one of the most noteworthy eating and drinking establishments in St. Louis. Built in 1913, Al Smith’s Feasting Fox in St. Louis was originally built and operated by the Anheuser-Busch brewery. The Feasting Fox was originally known as “Busch’s Gretchen Inn”. It’s a distinct building with a timber and stucco construction. It has a steeply pitched roof and a unique corner turret. It looks like it was plucked out of Bavaria and dropped in south St. Louis. The style reflects the early German population of St. Louis and the Dutchtown neighborhood it sits in. Bush’s Gretchen Inn and Bevo Mill were built in an effort by Anhueser-Busch to show that beer could be served in respectable family establishments. At the time, alcohol was generally served in seedy saloons filled with ruffians and drunkards. It was places like these that gave the prohibition movement momentum. In 1920, the 18th ammendment was enacted, prohibiting the sale, manufacturing, and transportation of alcohol. Anhueser-Busch was able to stay in business by selling a range of non-alcoholic products. As a result, its two restaurants in St. Louis city also remained open. However, when prohibition was repealed in 1933, new anti-trust laws forbade breweries from operating drinking establishments. The restaurant was leased to a man named Al Smith, who changed the name of the restaurant to “Al Smith’s Feasting Fox”. The Feasting Fox evolved over the years. It had some ownership turnover and even sat empty for several years in the 1980’s. It was purchased and rehabbed to its current condition in 1993. It’s a striking when one drives towards in on Grand Avenue. And despite my years of poking through the corners of St. Louis, I had never been inside. Since it once sat in the shadow of the St. Louis Motordrome, it was time to get a drink at the Feasting Fox. I visited the Feasting Fox in the late afternoon on a Saturday. It had just opened, so the few customers inside made it seem like a relatively quiet tavern. The inside decor is eclectic, historic, and inviting. The bartender (a very friendly fellow) identified me right away as a Feasting Fox rookie. After learning that I was doing a little research, he recommended a Weihenstephaner dopplebock. Due to the Anhueser-Busch origins, getting a beer at the Feasting Fox seemed far more appropriate than a cocktail. Along with a variety plate of tasty German sausages, I kicked back and enjoyed a few beers. I look forward to heading back to the Feasting Fox with some pals. It’s historical and it’s cool to think that you are drinking in the same building where motordrome racers and spectators would throw a few back after a day of racing (and if there was a crash, they probably needed more than a few). It doesn’t seem to be a place to go for cocktails, but it’s a definitely a unique place to bring out of town guests for a few beers and some German food. I don’t generally use teenager Internet slang, but, OMG! I loved this post. Don’t ever stop. I have also blown by the Feasting Fox and never gone in….I must rectify this error. Ha. Thanks! This was a fun post to write. You couldn’t pay me enough to ride a vehicle on that track. Crazy. Thanks for reading! That first link doesn’t show the building so well, here’s a link to google maps. Try the street view. Intrigued by some photos of the park and very familiar with that area, I studied the map closely. If the park 88 acres and situated on the SE corner of Grand and Meramec it would have interfered with the building of Cleveland HS and the Gretchen Inn. When I oriented your map to North I saw that the park was actually built on the NW corner. Kitty corner to the Gretchen Inn. Wow. Thank you for the correction. I’ll try to update the post as soon as I get a chance. Thanks again! Post updated with a new photograph. Thanks again! Most of the motorcycles, if not all, are from Excelsior Motor Company, which was out of England. Very Interesting! Not sure when Klocke St. was added between Gasconade and Meramec (running east to west from Louisiana to Grand), but the house I grew up in on the corner of Klocke and Louisiana was built and still owned by an Eike when we moved in c. 1965.. Not sure if it’s still there but there was a large “E” on the chimney.